Welcome to our Anni-VERVE-sary Spotlight Hops! We're happy to be celebrating our 9th Anni-VERVE-sary with some new Verve. A new release is just around the corner and for the next couple of days we'll be shining our creative spotlights on the new Verve sets and dies releasing this Friday, August 26. Hopping along with our talented crew of Divas this week are two very talented special guests. You can read a bit more about each of them below, then scroll down for all the blog hop deets and full product reveals. Joining us as a Guest Diva this release is Autumn Clark. I am so inspired by her stamping and mixed media work. She's been participating in Verve challenges for quite some time and has such a heart for sharing her techniques in her beautifully written and photographed posts. I know you're going to love her luscious layers and eye for color. Autumn blogs at Sew Paper Paint. Below is a little bit more about her and a little Q&A about her stamping style. Hi I'm Autumn and I’m thrilled to be a Guest Designer for Verve this week. 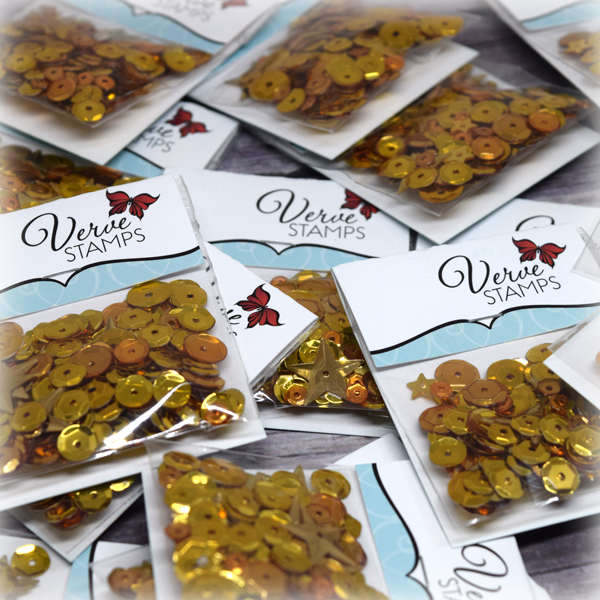 Verve stamps are some of my favorite on the market! As a budget crafter, I often invest into images more than sentiments. What I love about Verve is that the sentiments ARE images, so beautifully designed and the perfect focal point for any card. The font styles are fresh and modern and pair with everything! 1. How/when did you get hooked on stamping? I started stamping in 1999, when I visited a LSS and saw a demo on embossing powder. The store owner gave me my embossed certificate which read, “Autumn has witnessed the magic of embossing.” I still have that certificate. 2. How often do you stamp? I am very fortunate to have a small, but dedicated craft space. Rather than watch TV, I usually settle in and peck away at projects a few evenings throughout the week. I’m notorious for having long crafty weekends! 3. What style(s) are you most drawn to creating? I am in love with mixed media and grunge! I love to distress everything I do and am most drawn to messy projects! 4. What do you love most about paper crafting? I love pattern and color and love mixing elements to create something beautiful from such a mundane product, like paper. There is creative freedom in knowing that “it’s just paper” and can easily be replaced or remade. 5. What technique or product is currently making your paper crafting heart go pitter patter? WATERCOLOR! I started experimenting with watercolor because I couldn’t afford to invest in spray inks. Through trying to recreate the spray effects with a cheap watercolor palette, I have fallen in love with the fluid medium and love that I can control the outcome and blend colors much easier with a good old fashioned palette than with sprays. Also joining us for this release is Hillary Harris. She's been a long time challenge participant and makes such beautiful cards. Her knack for mixing patterns and prints always catches my eye and I'm sure you're going to love what this new mom has cooked up for you with this release. Hillary blogs at Heart for Handmade. Here's a little more about her in her own words. Hi y'all! I'm Hillary from Oklahoma! I'm a child of God, wife to my wonderful husband of almost four years, mother to a handsome three month old baby boy and two fur babies. I'm a mostly SAHM. I work two days a week as a radiology technologist for a pain management clinic. I am so excited to be a guest designer for this new round of releases! I have been a huge fan of Julee and Verve Stamps after I discovered the Mojo Monday challenge blog about four years ago. I have been stamping and card making for about five years now and I love every second of it! It's been a big stress reliever for me and a great way to express my creative side. 1. How/when did you get hooked on stamping? I have been scrapbooking since 2000, but was introduced to stamping and card making by a co-worker in 2011. She helped me make Christmas cards that year and I've been hooked since! 2. How often do you stamp? Before my little guy came along it was about every other day. Now I try and get in at least a few good hours a week. 3. What style(s) are you most drawn to creating? I'm not sure about a particular style, but I love color, large sentiments as focal points, and layers! 4. What do you love most about paper crafting? Getting to create something unique to bless someone else with. 5. What technique or product is currently making your paper crafting heart go pitter patter? My mother in law bought me the big pack of Zig Clean Color Real Brush markers for my birthday and they are so fun! I'm still trying to learn all the different ways to use them. Want to win some shiny new Verve? We'll be picking a random comment on one of the hop spots below to win today's featured products! So be sure to leave a little comment on all the blogs linked below to increase your chances! Comment deadline for prize drawing is Sunday, August 28. 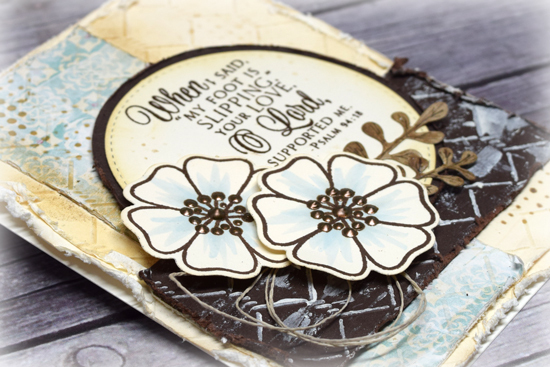 Scripture Medley 4 is a set of 9 clear photo polymer stamps that retails for $24. Since many of the scripture plain janes were sold out, I opted to release the set as soon as it arrived, so it's available in the store right now. This compilation set combines 7 of our previously released scripture plain janes, plus a couple verses from the retired Everlasing Life set in one place. Also in the spotlight today is a new sequin mix I added to the store last week. Our Gold Package Sequin Mix is a heaping spoonful of slightly cupped and starry sequins in three beautiful gilded shades. These golden pieces will make the perfect accent for your autumn and holiday cards. Okay, if you're still with me, the hop starts over on my blog, Poetic Artistry! Come say hello.. here's a sneaky peek of what I'm sharing! Visit Verve Stamps's profile on Pinterest.